Dogs in an animal shelter, Moscow. Volunteers in Moscow and other Russian cities work around the clock to save vulnerable dogs and animals from harsh weather conditions and disease. Natalia Chekina, a volunteer at the Shcherbinka shelter in Moscow, answers yet another phone call from residents of the Novye Cheremushki district. "They don't want to leave a dog freezing in the street, but don’t know what to do with it," she explains. Temperatures outside today have sunk to minus 13 Celsius (8 Fahrenheit), but Natalia is soon on the scene with her friend Yevgenia. They contacted a dog catcher, who soon arrives, and quickly tranquilizes the dog so that it can be easily transported to a shelter. The dog was hungry, so when it wakes up it wasn't difficult to convince it to try the doggie treat. "I'm sure such a cute dog will soon find a loving master," Natalia says. She has an extensive network of volunteers, and is often able to find a new home for strays. This happy ending is not always the case, however. "My work began a while ago when I saw a dog in the street with a head wound, and it approached me," Natalia recalled. She always wanted to help animals, and so she took care of Lada, as she later named her new friend. She took the dog to a veterinary clinic, paid for its stay and for all necessary medical treatment. She then found a kennel where Lada could stay warm and well-fed until new and caring owners were found. Unfortunately, shelters often do not have room for new animals. Through the Internet Natalia managed to find masters for Lada, and the dog has been living there for several years now. "She has become so fat," Natalia chuckled, showing us the dog’s latest pictures. Little by little Natalia's activism in animal protection grew, and eventually she set up a social network group and a website, sobaka-uzao.ru. By reaching out to and recruiting young people, Natalia put together a whole team, and today there are about 60 volunteers. Some activists work with social media, make arrangements with actors and venues for charity concerts, or call up potential owners. 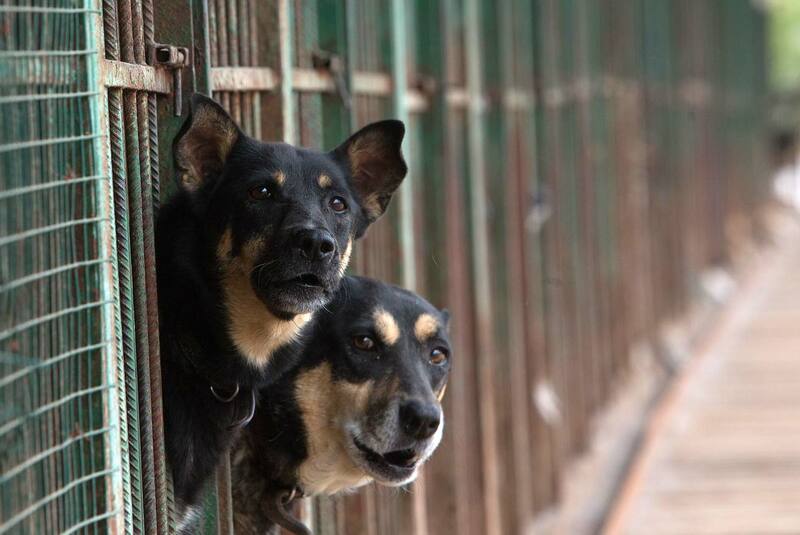 Most, however, become guardians of a specific dog from the Shcherbinka shelter. They feed and walk the dog until a permanent home is found. That's not so easy, however, because stray dogs must first get used to humans, which is extra complicated if people have in the past abused the animal. Even when a new owner is found, volunteers do not immediately hand over the animal. "We give them time to think and get to know the animal better," Natalia explained. After having found a home for a dog, volunteers take a new one under their care, and the process starts all over again. Kennels, catchers and treatment require considerable funds, so volunteers publish dog pictures on their website with their medical bills and invite the public to contribute. Money is not the only way to help. Anybody who cares can help by using their car to transport an animal or by providing a dog with temporary shelter for a couple of days. Since 2008 the city of Moscow has a policy of sterilization of homeless animals placed in shelters for an indefinite period of time. These shelters, however, are few and usually full. For example, the Shcherbinka shelter has over 2,000 dogs. With cats, the situation is even more difficult because they require special enclosures with heating. Therefore, many stray animals remain on city streets. In addition, in 2016 Moscow resumed the experiment whereby sterilized dogs are released from shelters to live in the streets. These dogs can be identified by yellow labels attached to their ears. Not everyone is happy with this situation, and many resort to inhumane methods. There are dog hunters who claim that strays transmit disease and endanger public health. These hunters have been known to kill strays with poisoned food. "It is difficult to fight against this," Natalia sighed. "Legislation on the mistreatment of animals is weak, and it's unlikely they will even be fined if caught." Volunteers can only make lists of people who took an animal but didn't fulfill their obligations. Their names and numbers are entered into a unified database to prevent them from mistreating other animals.